This review should have been posted last month (December), but somehow I just kept sitting on it - my bad. 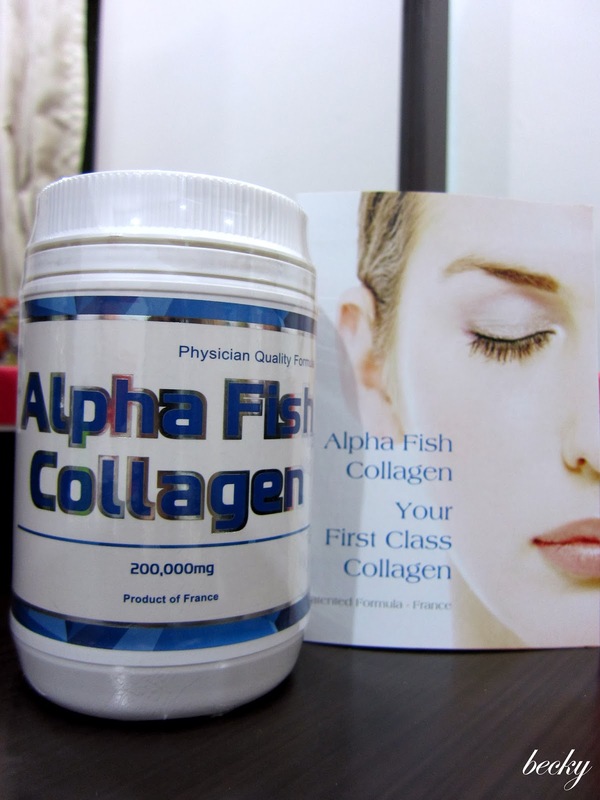 I was lucky enough to be chosen by HiShop to do a review on the Mega Alpha Fish Collagen. The nutrition facts are listed at the back of the bottle. 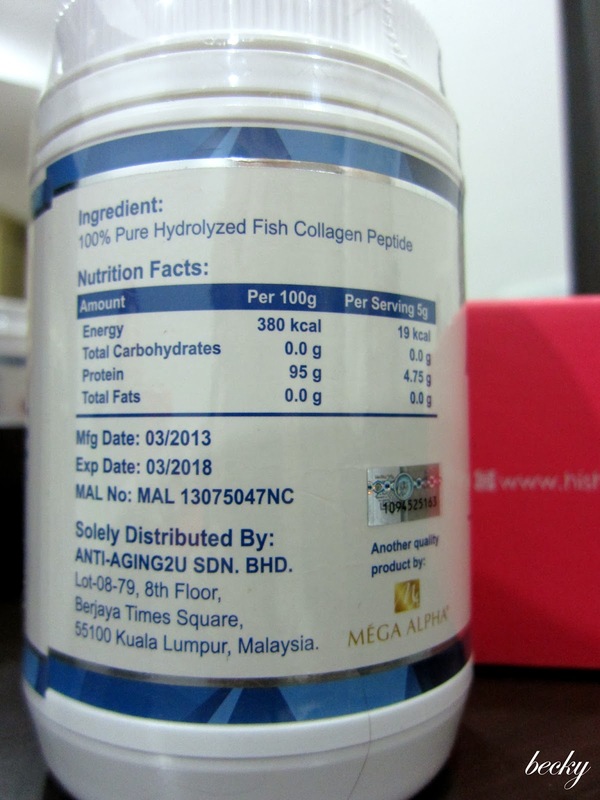 Though it is 100% pure fish collagen, unlike some other brands, this doesn't have the unappealing fishy smell to it. I actually took a sip of this without mixing with other beverages, just to make sure that it tasted just fine. A little scoop came with it inside the bottle. Personally, I think it is always better to provide a spoon or scoop, as most of times, people tend to interpret the measurement a little different. 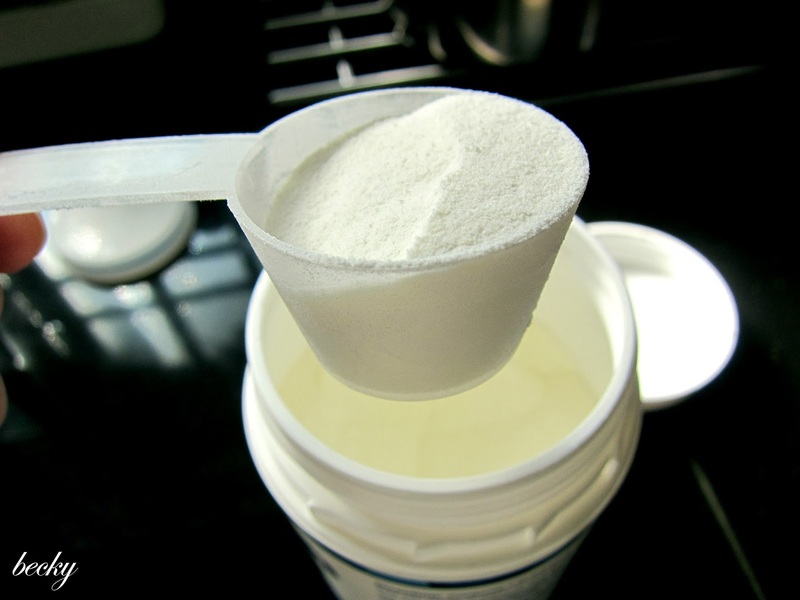 As per the instruction, you are require to consume 5-10gm, which is 1-2 scoops of the collagen powder. 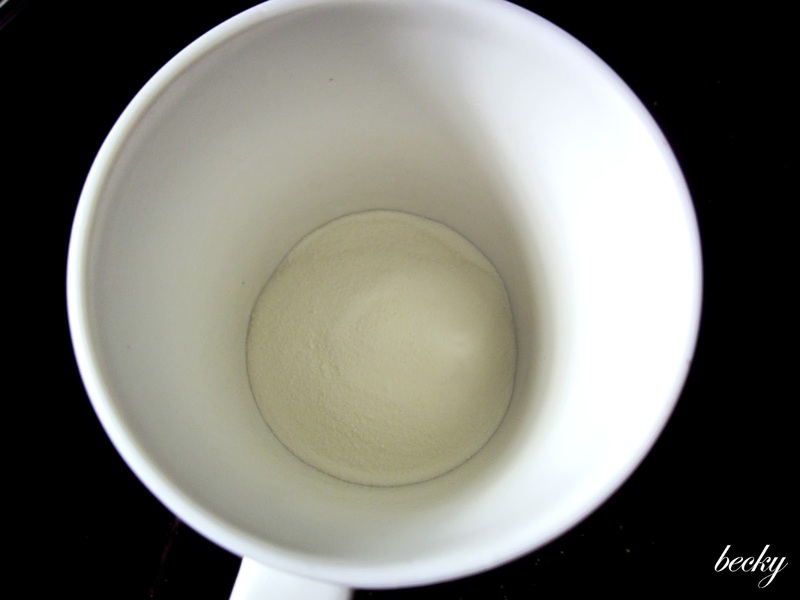 A friendly reminder, try not to mix it with hot beverages, as the temperature will destroy the collagen. When I scooped out the powder, I can really feel that they are really fine. I followed the instruction and consume 1 sccop (5gm) of collage with oatmilk every morning. I'll just mixed them together with warm water, and I'm good to go! Breakfast and beauty drink - both at the same time. Isn't this fast and efficient or what! I can feel my skin is clearer and brighter, though not that obvious. 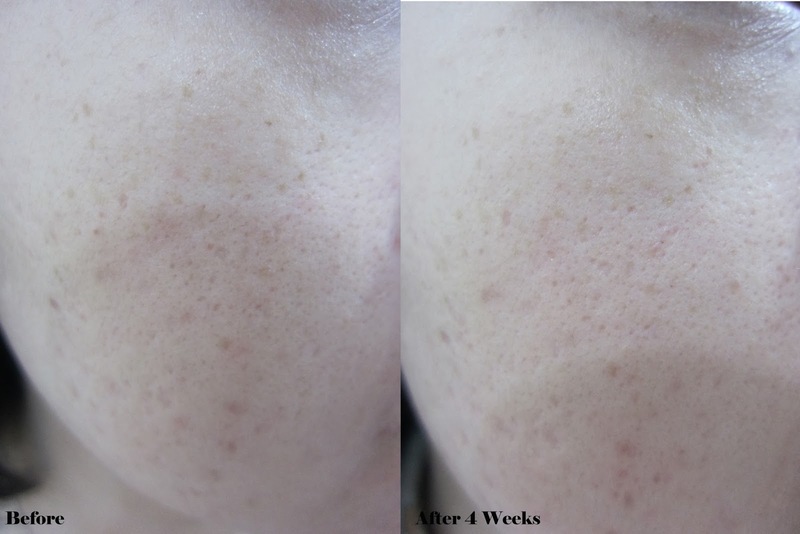 Also, my scars and pigmentation definitely has lighten compare to before. I was kinda hoping that I could see some effects on my pores, unfortunately, I don't think I see any improvement on this. 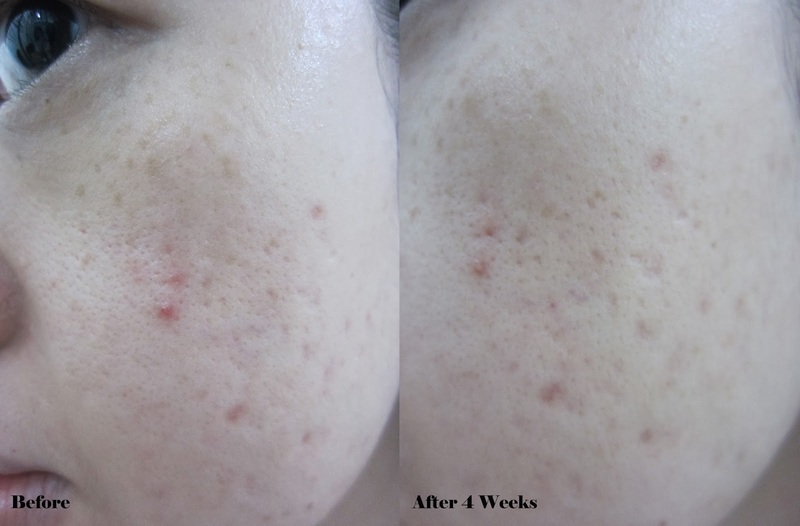 However, collagen does have different effects on different individuals. If any of you are interested to give this a try, you could purchase this from Hishop at RM198.